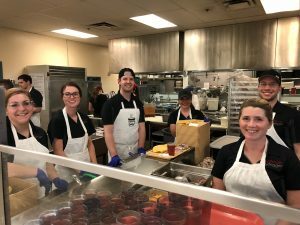 Workman Nydegger staff and attorneys spent the evening of April 10th serving dinner at St. Vincent de Paul’s Dining Hall in downtown Salt Lake City. 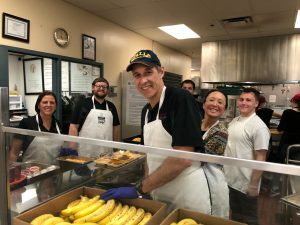 Since 1967, Catholic Community Services of Utah’s St. Vincent de Paul Dining Hall has been providing hot meals to those who are hungry in our community. On average, CCS serves 1,000 meals a day to Utahns in need. The facility provides the only regular mid-day and evening meal service in Salt Lake County. We served warm meals to hundreds of people who had a genuine need for our help and service. “We are surrounded by excellent, selfless, serving people in our firm and we are fortunate to work together,” stated David Dellenbach, Shareholder and Service Committee Chair.